You know the deal with Top Gear right? It was a TV show where three men acted like big kids driving cars up and down the country - sometimes even the world – getting into all kinds of trouble. It proved quite popular all over the globe until Jeremy Clarkson was dropped from the program after an alleged assault on a producer over a steak or something. 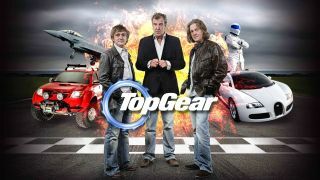 Ever since rumours have been buzzing around suggesting the key presenting team of Clarkson, James May and Richard Hammond would regroup with former executive producer Andy Wilman and take the format elsewhere. The latest suggests Netflix are interested in the show but the BBC isn't going to roll over and give the streaming service that all important Top Gear name, so what do you call it? A report from The Mirror suggests Netflix is readying the title House of Cars. If you haven't got it already, it's a pun on the immensely successful Kevin Spacey fronted political drama House of Cards that has already found a huge audience on the Netflix platform. It's a genius title but may get confusing when looking through the Netflix programming when feeling a little tired and bleary eyed. Not much else is known apart from the rumours of a title - it looks like it's a long way off from a finalised deal so don't expect to see Clarkson and co on your screen anytime soon. Can you come up with a better title for the Top Gear reboot? If so drop it in the comments down below.